Contractors continually face hassles that impede their success. Clients want “live” aerial photography that show progress on construction sites, but builders can’t deliver them using traditional flight services. Site inspections take time. Subcontractors argue they’re unable to perform work to their contracted schedule because the site wasn’t ready, leading to eventual schedule delay-based claims (where neither side can prove definitively who is right). To overcome these challenges, construction project leaders are turning to drones and aerial intelligence. Accessibility—Drones can go more places than fixed cameras or helicopters to obtain visual records at sites. As a result, survey updates become more holistic. Also, they deploy faster and at a reduced cost. Precision and actionable intelligence—In early tests, we’ve found that using aerial intelligence takes half the time to capture the data over standard surveying processes, and it provides more accurate data and insights to share with clients. For pre-construction site surveys, aerial intelligence can provide real-time animation videos at a tenth of the cost of traditional methods. Site safety—Drones provide site safety managers with daily insight into potential problem areas, including possible trip hazards, water ponding, and safety railings. Risk mitigation—Drones help contractors capture full documentation on a daily basis, giving them more knowledge and control over a construction site. Also, drones document millions of dollars of inventory stored on a site. In the event of a loss, an insurance company can review the data. Compared to auditing months of invoices, this accelerates the eventual claims process. PrecisionHawk offers custom solutions that integrate with their client’s existing internal software systems and project workflows. Also, flight services training ensures that client’s pilots capture data in a way that’s optimal for analysis. By augmenting key processes like data capture, analysis, and visualization, project leaders derive rich, actionable business intelligence. For contractors who’d like to add drones to their toolset, but don’t need customized development, systems integration or flight support, PrecisionHawk now offers the Smarter Construction Package with Roof Report Algorithm. The package includes a drone, PrecisionHawk’s suite of advanced sensors, plus integrated flight and data analytics software. Available as a monthly subscription, contractors will get the latest hardware and software as they become available. First, the contractor flies a drone and captures rooftop imagery. Then, they upload the images to PrecisionMapper, our cloud-based mapping and analytics software. Finally, they can generate reports featuring aerial images, 3D models, and measurements of the roof. Compared to traditional surveying methods, contractors using the Roof Report save time, reduce risk and eliminate inconsistencies. 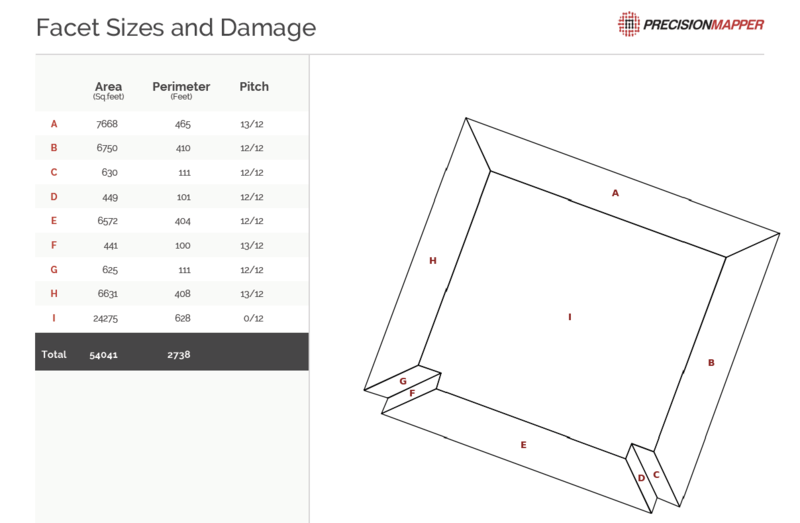 The algorithm will be available alongside PrecisionHawk’s growing library of turnkey analysis tools in the PrecisionMapper AlgoMarket. To learn more about the package, algorithm, and how to add aerial intelligence to construction activities, visit our Smarter Construction page. Or speak with a PrecisionHawk expert today.